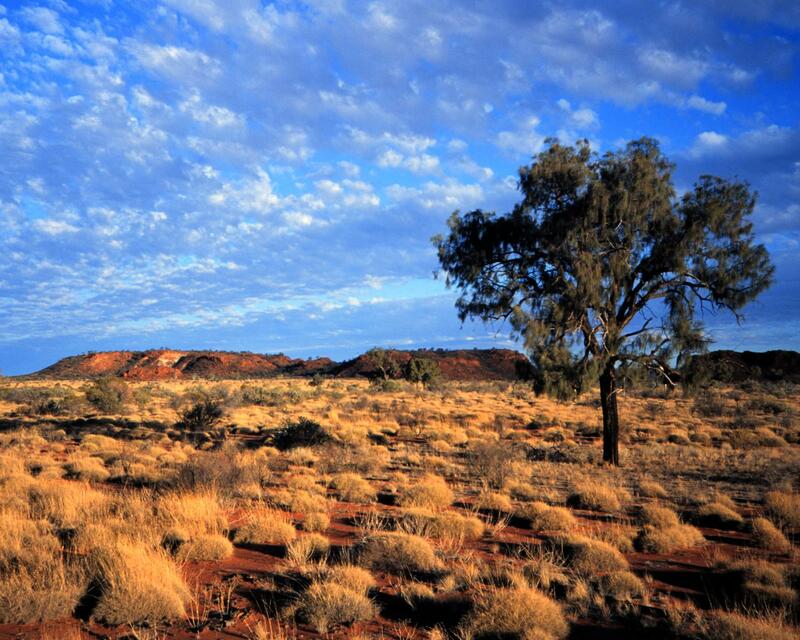 Australia's size gives it a wide variety of landscapes, with subtropical rainforests in the north-east, mountain ranges in the south-east, south-west and east, and dry desert in the centre. The climate of Australia is significantly influenced by ocean currents, which is correlated with periodic drought, and the seasonal tropical low-pressure system that produces cyclones in northern Australia. These factors cause rainfall to vary markedly from year to year. Much of the northern part of the country has a tropical, predominantly summer-rainfall (monsoon) climate. The southwest corner of the country has a Mediterranean climate. Much of the southeast (including Tasmania) is temperate. For almost two centuries the majority of settlers, and later immigrants, came from the British Isles. As a result the people of Australia are primarily of British and/or Irish ethnic origin. 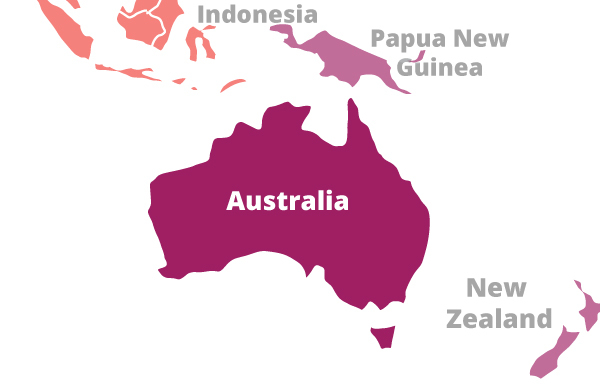 The Indigenous population—mainland Aborigines and Torres Strait Islanders —was counted at 2.5% of the total population in 2011. Australia has no state religion. In the 2011 census, 61.1% of Australians were counted as Christian, including 25.3% as Roman Catholic and 17.1% as Anglican; 22.3% of the population reported having "no religion". Australia is a wealthy country with a market economy, a relatively high GDP per capita, and a relatively low rate of poverty. All of Australia's major cities fare well in global comparative livability surveys. Australia has among the highest house prices and some of the highest household-debt levels in the world. Australia is a constitutional monarchy with a federal division of powers. It uses a parliamentary system of government with Queen Elizabeth II at its apex as the Queen of Australia , a role that is distinct from her position as monarch of the other Commonwealth realms. Australia is one of the United State’s strongest and closest allies. The two countries are very similar socially and culturally, and share common viewpoints and interests globally. The U.S. and Australia work together on counter-terrorism issues and cooperate militarily, both currently and historically. No U.S. financial assistance is needed or provided to Australia.